Home > Campus News > What an idea, MET! MET League of Colleges hosted Mini Seed Camp 2010, which was organized by Mumbai Angels in association with the Seed Camp on December 04, 2010 at the MET Convention Centre. 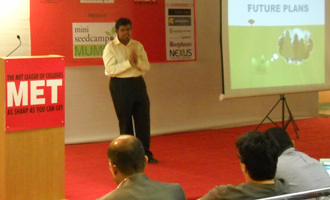 Mini Seed Camp was a one day event organized in India for the first time which was held at MET, Mumbai.